Easy ways to save money today! Are you looking to put money back in your pocket every month? When you cut back on your spending it’s possible! 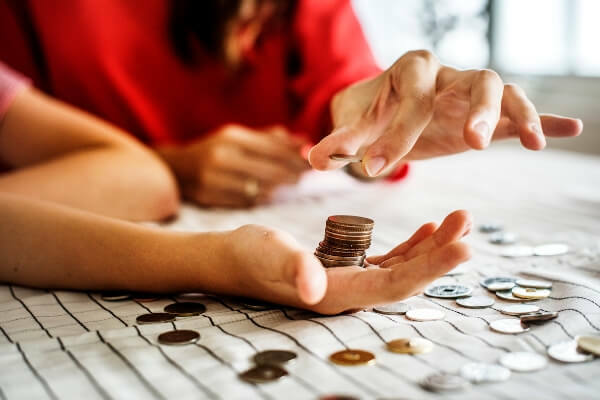 These easy ways to save money will help you keep money in your pocket and have been used to save us over $100,000 in the last five years. 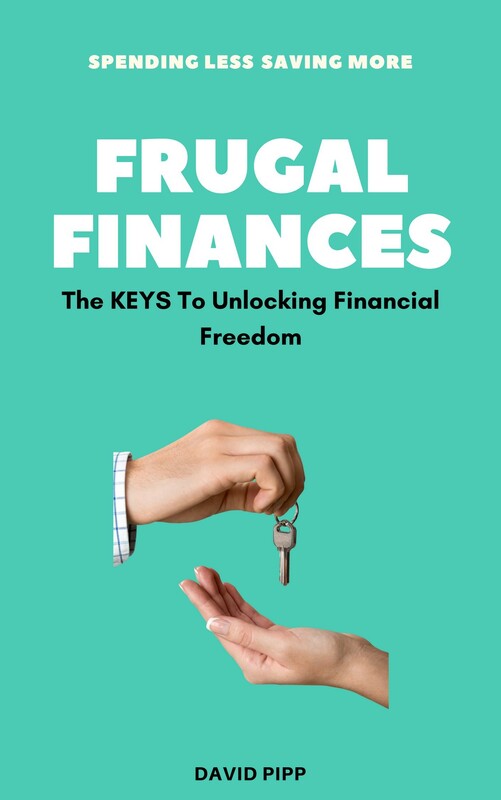 For us, we enjoy living a frugal lifestyle. We live with less, which has enabled us to do the things we really enjoy in life. So..are you ready to earn how to control your money and build your wealth? 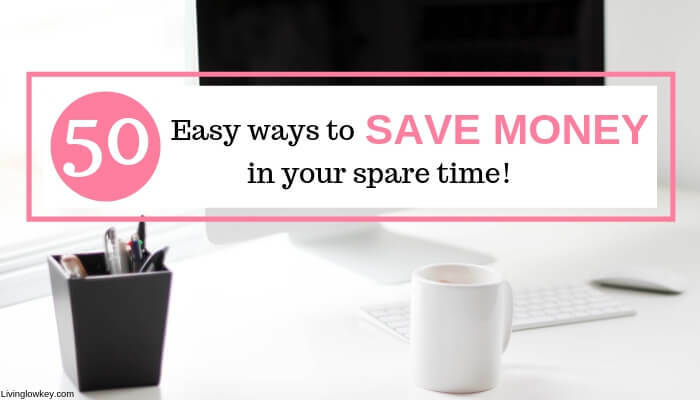 Simple and creative ways to save money! There are plenty of other TV services out there that are a lot cheaper than cable. We have used PlayStation Vue, Hulu, Netflix and Fire TV. Our favorite is Hulu! You can watch all of your favorite shows the day after they air on tv. The best part is we only pay $7.99 a month! Use our link to try it out for 30-days for free. Do you shop at thrift stores? If not you should start, especially if you have growing kids. I’m the queen at finding awesome discounts on kids clothing! If you are tired of paying outrageous prices keep your eyes peeled for sales and start shopping for generic brands. 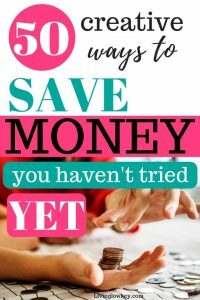 If you are a Target shopper, like myself, check out how I save hundreds with these simple tricks! Instead of buying juice, pop or bottled water invest in a water bottle. We LOVE our Hydro Flasks and take them everywhere! My favorite part, my water stays cold for more than 24 hours. You will seriously love this water bottle! This won’t only save you money, but it will save the environment! Save all of your loose change! We throw all of our change into a jar and at the end of the month, we use it to pay extra on our mortgage. If you have loose change laying around start saving it! It really adds up fast! 5| Skip the mani and pedi. Paint your own nails! If you visit the spa often you know how costly getting your nails done can be. Buy your own nail polish and become an expert at doing your own nails. A bottle of your own nail polish will last you a lot longer then your mani or pedi will! For example, if you want to buy something with Amazon head over to Ebates and click through their site to Amazon. Ebates will then pay you for shopping through their site!! How awesome it that! If you want to get paid for everyday shopping this is the way to do it!! (Use my link and get paid $10 just for signing up) Who doesn’t love free money! 7| Don’t pay for another book again. Please don’t ever pay full price for a book! When we do buy books, we always check Barnes & Noble Coupons and Deals before going. Better yet stick to the library! Our library lets us check out 30 books at once. You should see the pile of books I attempt to walk out of the library with. Have you ever had a no-spend weekend? If not, let this weekend be your first! If you are on a budget, which you should be, I recommend giving this a try. (Check out this awesome list of things to do on a no-spend weekend). 9) Kick your coffee habit for good. Okay so maybe you can’t fathom kicking your coffee habit, neither could I. You can kick the habit of going out to Starbucks, Caribou or any other coffee hut. If you are looking for an easy way to save money coffee houses are simply not in the budget. Instead, make your own cup of coffee at home. Pinterest has some awesome recipes, sip and enjoy! If you have kids, eat at restaurants where kids eat free. On Tuesday’s a lot of restaurants let kids eat free or for $1. Take advantage of these awesome deals deals! Don’t pay full price for a meal they’ll just pick at. If you absolutely can’t kick your “going out to eat” habit, share a meal and skip the appetizer! A lot of restaurants also have the 2 for 1 deal where you can get two meals for the price of one. 12| Sell your used books. Do you have a lot of used books sitting around your house? If so, sell your used and unread books with Amazons buyback program. I sold all of my old college textbooks to Amazon and made over $400. I’m a huge brand of buying generic brands. Especially when I’m grocery shopping. I mentioned above I’m a huge fan of Target, its where a majority of my grocery shopping is done (convince is worth it). When I shop at target I always buy Target brand (market pantry) over the others and it saves me a lot of money. The price difference between a generic and name brand product can be BIG! So take advantage of this! 14) Shop the Dollar Tree. Want to check out how the Dollar Tree saves us hundreds each year! If you are struggling to save money and you don’t shop the Dollar Tree you are doing things all wrong! Yes, there are things you should avoid that the Dollar Tree but that won’t matter with all of the money you are going to save by shopping there. 15| Use coupon apps when shopping. If you don’t use Ibotta when shopping, you must start! Let me tell you this app is AMAZING and I use it almost every day to save money. Their app is super simple to use. Do you shopping like normal. When you get home check off the items you bought on the app. Then scan the recipe with your phone. Then they give you money for your purchases. It’s that easy! Sign up today, its free and start making money! 16| Saving money is hard. 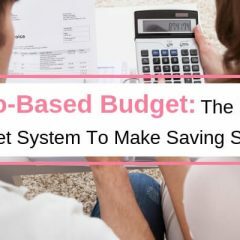 SO set a budget and start actually saving money you make. I know this is easier said than done. That’s why we created this FREE BUDGETING BINDER just for you! If you are struggling with your finances we are here to help. Do you feel like your money just disappears and you have no idea where it went? At one point so did we. Until we switched to paying with cash. Paying with cash makes helps you become more intentional with your money because you will feel every dollar you will spend. 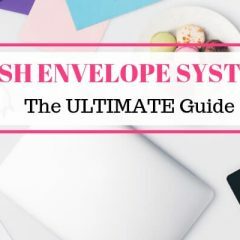 We live by the Cash Envelope Method. This is the method has saved SIX FIGURES!! 18| Bring your lunch from home. If you are struggling to save money this is a no-brainer. Bring lunch from home to work every day. According to CNBC, if you go out to eat every workday and spend $10 per meal, it comes out to $2550 a year! Do you have gym memberships or magazine subscriptions you don’t currently use? If so cancel them. Even if you use them, cancel them! If you are trying to save money or pay off debt you don’t need these things in your life, yet!! 20) Don’t buy stuff just to buy stuff. Only purchase things that you need! I always use the 30-day rule. If you see something you want wait 30 days. If you still want an item after 30 days and if you can afford it, go get it. Plan for meatless meals a few days a week. This one is hard for a lot of people but eating meals without meat will save you a lot of money. Set up a direct deposit to your savings account. 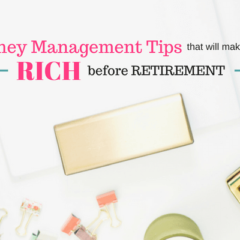 When you get paid every two weeks, have a chunk of money go directly to your savings. Even if you can only afford to send $10 to your savings. It will add up over time. By sending your money directly to your savings you will never have the chance to see it, therefore the temptation to spend it will be gone. We act like our “savings” emergency fund doesn’t exist. Therefore we aren’t tempted to spend it. Do your own repairs on your home. We live by the saying, “just Youtube it!” We’ve done everything from replacing appliances, making furniture, moving the walls in the house and laying hardwood floors. Upgrade your appliances to energy-efficient appliances. 25| Hang up your laundry to dry. Drying clothes in the dryer uses a lot of electricity. I use one of these awesome drying racks that I can use indoors and out and I love it!! 26| Find an alternative to going out to a movie. Movies are expensive these days. Do yourself a favor and pick up a Redbox and save on the expense of going to the movies. Just don’t forget to bring in back within 24 hours. Head of to Pinterest and type in FREE Netflix in the search bar. Grab a free code and score yourself a free movie. DO you drive long distances to work? If so, find a cheaper alternative. Do you have a coworker that lives near you? If so, then try carpooling. When we lived in DC, Davids work paid for him to take the metro (train). He had a longer commute on the metro BUT he didn’t have to drive in traffic or pay for gas. 28|Say goodbye to credit cards. Learn to live without using credit cards! In fact, I recommend just cutting them up! You can get penalized for canceling unused credit cards, crazy right. I finally got around canceling my only (unused) credit card last year and it did drop my credit score. So I simply recommend cutting them up instead. If you want to check your credit score, do so with Credit Seaseme, for FREE! We have used them for years! You can’t beat their free services. 29| Take advantage of Airbnb. When traveling, use Airbnb. Better yet, rent out an unused area in your home for some side cash. You can make mad cash but selling items around your home. 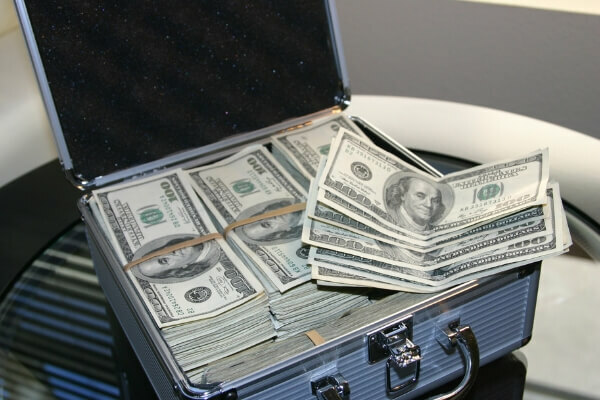 If you are looking for a super easy way to make money, it doesn’t get easier then this! Start selling clothes and other items lying around your house. Check out how we SAVE BIG on children’s clothing. We all have that store that we know if we walk into we will spend money! Avoid those stores like the plague! For me, that place is the mall! 32| Shop at your local discount grocery store. Do you have a discount grocery store nearby? If so, take advantage of their discounts. Aldi is a great grocery store that has great prices and has been pooping up all around the U.S.
Dry cleaning is expensive! So stop buying or reduce the number of “dry clean” only clothes you have. 34| Ride your bike to work. Do you live close to work? Grab a bike and start riding your bike to work. Not only will this cut down on gas but it will also get you in shape. Looking to have a date night but don’t want to pay the cost of a babysitter. Swap babysitting with a friend or a neighbor. 36| Grow your own produce. Looking to save costs on produce? Start growing your own fruit and veggies during the summer months! Or just don’t use credit cards, period! We all get suckered into this from time to time. You see an item on sale and then talk yourself into buying it because its “on sale.” When the truth is you would of never bought the item if it wasn’t on sale. Buying something because it is on sale isn’t saving you money! Instead of wasting money on paper towels try buying linen napkins instead. Don’t buy new, look on Craigslist. 41| Don’t buy holiday cards. Make your own holiday cards, better yet use Hallmark eCards. This way you can send a card right to their email in an instant. Don’t upgrade your cell phone every 2 years. My last phone lastest 4 years, so hang on to it as long as you can. Grocery shop online and then use store pickup. This way you are less likely to buy things that aren’t on your list. Do your shopping online and then do curbside pickup. Buy cloths used or get your hands on some hammy downs. Take advantage of good deals when you can! You can get great deals on every day activities. 46| Quit keeping up with the Joneses. If you are looking for more creative ways to save money make sure you join our money saving challenge! Living in a smaller home not only cuts down the cost of your mortgage but also your utilities. If you are struggling to pay your bills maybe its time to downsize. 48| Reduce your household bills. If you haven’t tried calling your utility companies or any other any other company you have bills through, do it. Lowering your bills is possible. Call your utility companies and see if they can work with you to lower your bills. 49| Rent out a space in your home. Have a space in your home that you aren’t using? Rent it out with Airbnb. 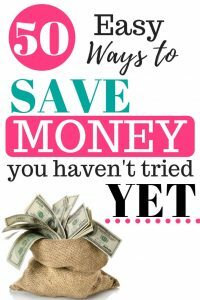 Looking for an easy way to save money what a better way to get started then with a budget! 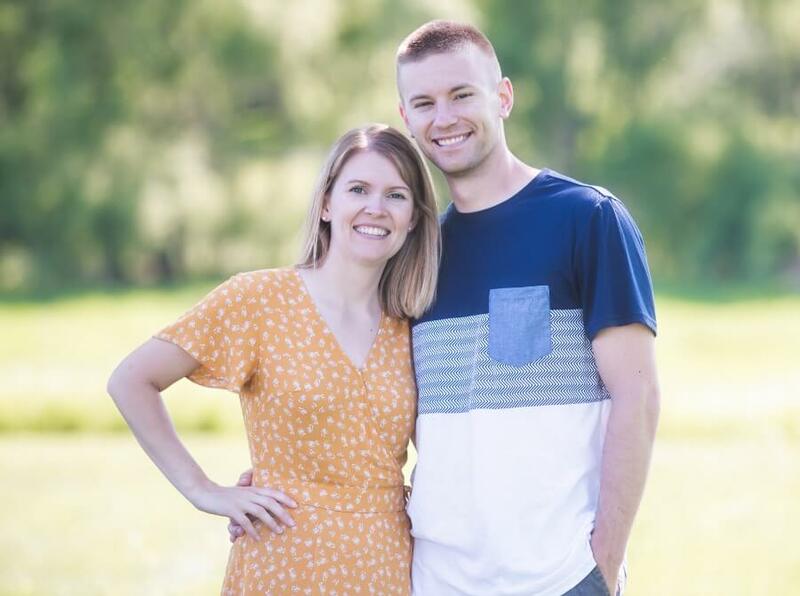 If we wouldn’t have started budgeting our money 6+ years ago there is no way we would have been able to pay off our debts and save a six-figure retirement in our 20’s. Head on over and grab our free printable budget binder to get started. If you liked this article save it for later on Pinterest! What are your favorite easy ways to save money? There are some really good ideas on here for people lucky enough to not have to worry about money. 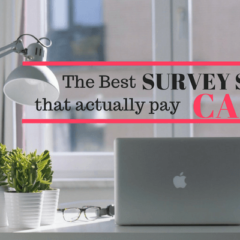 Most people I know, have to do almost all of these things just to make it to their next paycheck, and the minute an unexpected expense comes along, they can’t afford to fix their car, or go to the doctor. Even for many educated families. There simply is nothing to save. Even tax returns are spoken for before they are filed. This page has reminded me of how lucky I am to have a little extra to save, and has inspired me to try a little harder to save more. But it does seem out of touch with a very large chunk of the country who simply don’t make enough to live, let alone to save.